Intelligencerthe future October 5, 2014 9:05 p.m. The flying, spying, killing machines that are turning humans into superheroes. Recently, it has been getting harder to disappear on this planet. A surveilling drone began passing over the remote forests of northeastern Nigeria earlier this year, tracking the separatist group Boko Haram, catching glimpses of hasty encampments and escapes along dirt trails. When the militants kidnapped 200 schoolgirls this spring, a camera in the sky captured a large group of girls, sitting together in a clearing. Soon after, the cameras captured a similar group of girls elsewhere in the forest. Each time, the girls were moved before they could be spotted again, or rescued. What was left was just a spooky afterimage, like the ­impression made on a photographic plate: The most famous missing people on the planet, for an instant at least, found. Late one afternoon in December, a drone armed with Hellfire missiles was flying low over the Yemeni desert, an audible buzzing presence, tracking a ­convoy of cars and trucks that were caterpillaring along a route between villages. Within the convoy were the members of two large families, escorting a bride from a wedding celebration in her own village to another in her groom’s, and though they noticed the drone, its presence was not unusual. Then, while the group was stopped because of a flat tire, the noise from the drone grew louder, as if a decision had been reached, and it began to discharge missiles. Several men jumped from the fourth truck before it was destroyed, but as they fled the drone seemed to track them across the sand, and fired again, according to Al Jazeera America. An older sheikh ran from his car and found his son, dead and bloodied, pierced by flying shrapnel in his face, neck, and chest. Twelve men were killed. They were farmers, shepherds, and migrant laborers, mostly. U.S. government officials would say later that the target had been a militant, affiliated with Al Qaeda, who managed to escape the attack. A report by Human Rights Watch suggested that he might never have been there at all. If you were creating, from scratch, a taxonomy to describe all machines, these drones would not belong to the same species. They would probably not belong to the same phylum. The technology of unmanned flight has diversified so rapidly that there are now 1,500 different kinds of drones being manufactured, and they are participants in nearly every type of human endeavor, composing a whole flying-robot ecology so vast that to call every one by the same name can seem absurd. But drone, an impossible word, is also a perfect one. Each of these machines gives its human operator the same power: It allows us to project our intelligence into the air and to exert our influence over vast expanses of space. Drones have become important to the pursuit of isis, the plans of Amazon and Google, the management of farmland in Asia, the protection of pyramids in the Andes. Just within the past two weeks, Facebook has announced a trial of a drone-based wireless internet, the delivery conglomerate DHL has revealed that it will use the machines to ship packages to isolated German islands in the North Sea, and the U.S. government has decided to allow Hollywood production companies to film from drones, making possible visual angles that have so far existed only in animation. Over Bernal Hill Where Amit Gupta shot his famous drone selfie. Onstage With the Japanese dance troupe Eleven Play. Over Enemies Surveilling and assassinating. Through Farms Tracking the wheat crop in France. Around Newlyweds And sometimes accidentally bumping into them. Drones are a different kind of new technology from what we’re used to. The communications breakthroughs of the past two decades have multiplied the connections within society, but drones offer something else: the conquest of physical space, the extension of society’s compass, the ability to be anywhere and see anything. This physical presence can be creepy when seen from the ground, in ways that echo the imaginings of science fiction. “Flying,” says Illah Nourbakhsh, who ran the robotics program at NASA’s Ames facility, “creates this dynamic where people are no longer on top.” And yet to the drone pilot, maneuvering through the air, it is liberating. It’s an incredible thing, extreme elevation. It makes you feel both alone and unsurpassable. Send a drone up, equipped with a camera, the control in your hands and your laptop rigged to see what the camera sees, and what you feel is not displacement but extension. 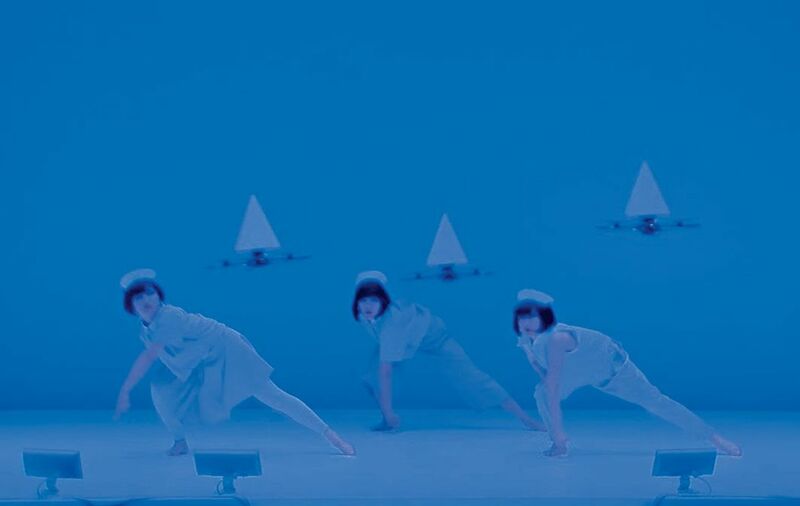 Each of these flying robots, more than anything else, changes your perspective. Now anyone with a drone can watch the Earth from a point of view that once implied great power. 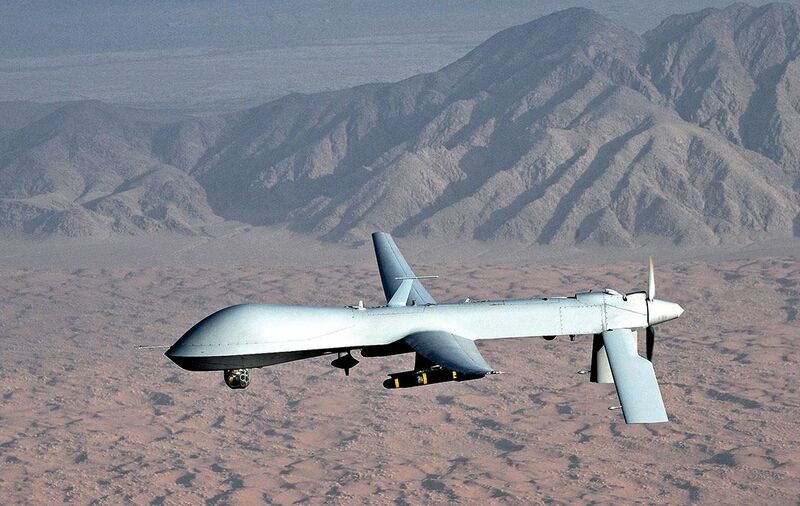 This summer, the pastor of a prominent Evangelical megachurch in Texas delivered a series of sermons comparing God to a Predator drone. It’s an incredible thing, extreme elevation. It makes you feel both alone and unsurpassable. 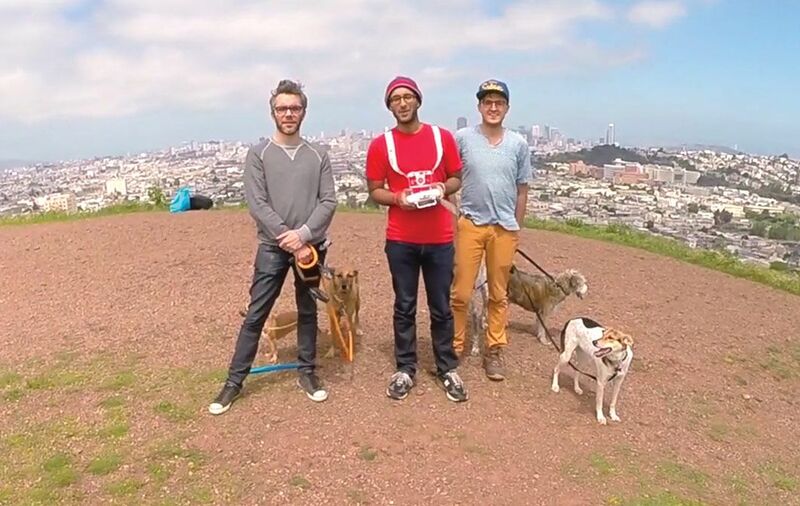 In San Francisco, it no longer seems out of the ordinary for a drone to get lost in a tree. “Big thanks to the SF Fire Dept,” one drone enthusiast tweeted recently over a photo of a firefighter laboring up a ladder to rescue a robot from a high branch. 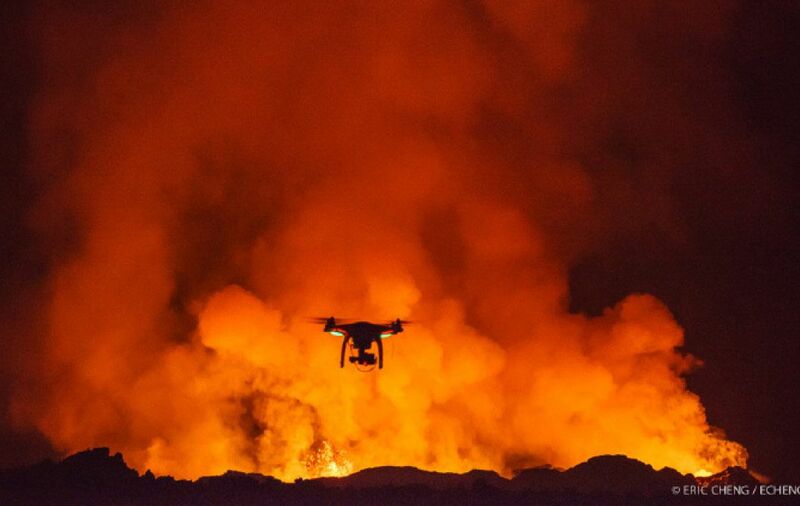 Drones have been disappearing into the playa at Burning Man. “It is white plastic with red and blue stripe stickers on the propeller arms,” ran the Craigslist post pleading for the machine’s return. In Seattle, a drone saddled up to the 26th floor of an apartment building and peeped through a window, alarming the woman inside. In Los Angeles, a drone wandered high into the sky near LAX and startled the pilot of a Canadian jetliner; another hovered near the tenth floor of the LAPD’s headquarters, drawing curious cops to the window. In Yosemite, the Park Service had to issue a ban to keep drones from spooking nesting peregrine falcons. These machines, in other words, have begun to display punkish, pubescent energies, as if we had entered drone adolescence. Robinson wanted in on the rush too. A decade ago, he was a somewhat burned-out IT guy in his mid-40s, recently divorced, and maybe a bit too garrulous for IT in the first place. He quit his job, worked to perfect his drone — a fixed-wing model that looked like a miniature Stealth Bomber — and tried to figure out how to make money on it. Robinson did the simplest thing he could think of: He stuck a Nikon camera onboard, its lens aimed down, and went searching for people who might pay for the point of view. Farmers, real-estate agents. Prospecting, and having had little luck, Robinson eventually connected with a volunteer group called Texas Equusearch, which scours rural stretches of the country on horses and ATVs looking for missing people and dead bodies. They were interested. They could see how a drone might be useful. Robinson’s first drone search was for a man named David Lee Pettiet, who had departed the modern grid in an especially barren spot of West Texas. Search parties had failed to find Pettiet for six months, long enough that the sheriff, according to Robinson, became convinced he was still alive and had begun to suspect he might be robbing banks around the county. Pettiet’s sisters were despairing. The drone found him within a day—its aerial camera photographed two slashes of white, a foot apart, in a brambly clutch of downed trees, that turned out to be Pettiet’s tennis shoes. The sheriff’s deputies had passed just a few feet from Pettiet’s body during a mounted horse search weeks earlier. But their perspective was wrong: too low. The privilege of seeing this way, and this much — it exists simply because he has a drone. Should it? Clarifying where drones are allowed to fly and under what circumstances has proved challenging. There are no consistent laws about whether police need a warrant to fly a drone over your property, searching for drugs or evidence. (A few state legislatures have passed laws requiring police to secure warrants, others have decided that cops do not need to, and most have set no guidelines at all.) It is even less clear how private operators, hobbyists, or governments should operate. The airspace above 500 feet is reserved for planes and other aircraft, but below that line the rules are “irregular and inconsistent,” says Troy Rule, a law professor at Arizona State — there is little clarity, for instance, about whether a property owner can prevent her teenage neighbor from flying a drone over her house. Congress has asked the Federal Aviation Administration to regulate the commercial use of drones by next September, but an agency audit has signaled it will likely miss its deadline. One mark of exactly how conflicted the government is about drones is that Robinson is at once a frequent collaborator with state agencies and a recipient of cease-and-desist letters from the FAA. In Georgia once, searching for a missing woman, Robinson happened upon a huge marijuana crop, perfectly clear from the drone’s camera. The local sheriff took the images and executed one of the biggest pot seizures in the state’s history. (Courts have generally held that individuals have little reasonable expectation of privacy from aerial surveillance.) In Torrance, California, there is a man who uses his drone as a flying citizens’ patrol, to photograph police in the act of pulling cars over or operating checkpoints, as a curb on abuses, so that cops in the Los Angeles area often find themselves subject to a scrutinizing eye in the sky. When ­science-fiction writers and critical theorists have warned of the surveillance future, they rarely imagined this chaos. The surveillance capacities of the state have grown. But so have these accidental private panopticons. In a movie Following skateboarders in Spike Jonze’s Pretty Sweet. None of the early entrants in Slavin’s festival, which will take place in February, were shot by Kubrick or Jonze. This is a novice’s medium. In one infamous drone video, the camera swoops toward a bride and groom standing in a field with their foreheads touching and eyes closed. The drone flies under a flowery arch twined with flowers, then slams into the groom’s head. On YouTube, there is evidence that the technique of many drone photographers is better, and there is some artistry too: gorgeous overhead film of New Zealand’s landscape, for instance, and one dramatic video from a drone flown into a fireworks celebration in West Palm Beach, powder exploding all around the camera. “Pretty ballsy,” Slavin said approvingly. There is something uncanny about the drone perspective that creeps up on you, the more videos like this you watch. The drone’s point of view emphasizes the mass scale over the individual. One of the early drone videos that got around, enough to collect nearly 2 million views, is a vision of last year’s Burning Man, roving across the encampments — the huge sculptures, the big empty desert beyond. From high above the festival, individual distinctions blur and the people look almost choreographed. The man who shot it, a San Franciscan named Eddie Codel, had been going to the festival for years, and he told me he was intrigued by the way the drone removed you from the usual individual perspective —­ circumscribed, on the ground — and let you see the “organized chaos” of Burning Man as a whole. Above the desert Documenting the Burning Man festival. Both the beauty and the strangeness of drone art come from this point of view. The line of sight seduces photographers. It also affects them. There is a San Francisco outfitter called Photojojo that rents camera-equipped drones for the day, and the company’s founder, Amit Gupta, told me that customers tend to take pictures of recognizable monuments from an unusual perspective, or to photograph themselves. The drone selfie has become a slightly ridiculous cultural artifact (at least since Twitter persuaded Patrick Stewart to take one in Cannes), but the perspective it provides is thrilling: a reminder of how small we are and how little we can see, of how awesome and humbling the God’s-eye view can be. Here, for instance, is Gupta taking a video of himself from a drone, a young man in a T-shirt and jeans standing on Bernal Hill, next to two of his friends. The drone hovers at eye level as if it were a fourth friend, and then Gupta touches the controller and the camera begins to back away and the frame extends; now it captures not just the three men but the whole hill they are standing on, and then the park. Then, the neighborhood, and then most all of San Francisco. And then, majestically, the bay beyond. The film lasts only 15 seconds, but in Gupta’s hands the drone is not a tool of narcissism but a context machine. As the video ends, he is still in the center of the frame but his true subject has swelled all around him: San ­Francisco, the mass ornament. There are villages in the most remote tribal areas of Pakistan in which these context machines are such a constant, noisy presence that drones are sometimes called bangana, a Pashto word for wasp. While they linger, no one on the ground knows whether their mission is surveillance or assassination. It is this combination of inscrutability and remote power that makes them such a maddeningly seductive and destructive tool of foreign policy. In May 2012, a drone strike destroyed a residential block in the Yemeni city of Jaar. Fifteen minutes later, the drone fired again, into the same houses, so that some people who had come to help the wounded were themselves killed. A pregnant woman died. A 65-year-old taxi driver, rushing to help members of his family after the first strike, saw “seven or eight” bodies scattered around him. No one seemed to really understand what, or whom, the drone had been pursuing, or even who was operating it. Some eyewitnesses who spoke with NPR were certain they had seen a gray American jet, “like an eagle.” Those talking to the London Times were convinced the plane had been black and Saudi. Perhaps the aircraft they’d seen had nothing to do with the strike at all. Before unmanned aircraft proliferated, the American military could track a target virtually anywhere on Earth, conducting surveillance and reconnaissance, but the cost and complexity of performing these missions limited their use and often required approval from very senior officers. Drone technology, says Ioannis Koskinas, a retired Air Force colonel, has given soldiers “at the smallest infantry level — the squad” — access to these tools. An ordinary soldier can, if the resources at that moment permit, learn what is happening in a dangerous area he is about to enter in something close to real time. His awareness is enhanced. Pilots typically benefit from what psychologists call “the morality of altitude” — separated from their victims by thousands of feet of airspace, they tend to suffer far less post-traumatic stress than do their counterparts on the ground. But drones have collapsed that moral distance, bringing their operators into far greater intimacy with their targets. The details of how drone pilots work have, like the missions themselves, been largely classified, but by combing through unclassified medical studies of drone-operator stress, Peter Asaro of the New School has been able to pinpoint some of the changes. Asaro found that tasks that had been distributed through the military and intelligence bureaucracies (gathering intelligence on a target, conducting surveillance, weighing the risks of a targeted killing, navigating a plane, firing a missile, assessing what happened afterward) have now been concentrated, so that they are all performed by tiny teams often scattered at bases around the peacetime United States, working at night, monitoring targets halfway across the globe for whose survival or death they are responsible. Five thousand feet is the best. I love it when we’re sitting at 5,000 feet … Plus, at 5,000 feet, I mean, I could tell you what type of shoes you’re wearing … I could tell you what type of clothes a person is wearing and if they have a beard, their hair color … If someone sits down, let’s say, on a cold surface for a while and then gets up, you’ll still see the heat from the person for a long time. It kinda looks like a white blossom … It’s quite beautiful. I mean, heck, if you see somebody light up a cigarette, that’s a huge beacon. You just see a very white glow coming from that area. And you’re just on a preset path flying a circular orbit, watching them as they’re smoking from about two to three miles away. The great Silicon Valley TacoCopter Hoax kicked off with an announcement of a new product just futuristic enough, and just fratty enough, to drive tech websites into a state. “It’s an unmanned drone shooting a taco from space down at you and your colleagues during lunchtime!” the Huffington Post’s Jason Gilbert enthused. “The concept behind TacoCopter is very simple, and very American: You order tacos on your smartphone and also beam in your GPS location.” You can imagine the rest. The hoaxers suggested that their “tireless” drones would soon be flying tacos to customers sitting at the beach. The idea that robots might serve as mechanical butlers has been around at least since the very first episode of The Jetsons aired on September 23, 1962, during the Kennedy administration, almost seven years before the moon landing. George and Jane become overwhelmed by the complexities of life in the SkyPad apartments and decide to buy a robot maid, Rosie. Under her watch, life runs more comically but also more smoothly: The meals get cooked, the house gets cleaned, and she cracks wise in almost exactly the manner and accent that Fran Drescher would, more than a quarter-century later. She helps with homework. 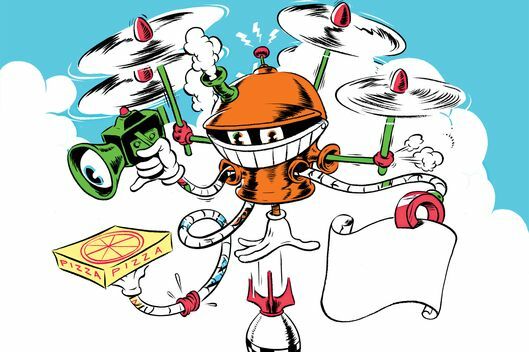 This notion — that a personal robot might hover near at hand, helping to ease life’s small dilemmas and anxieties like a Seussian cleaning machine — tends to be the first instinct of would-be drone entrepreneurs. A roboticist in Boston named Helen Greiner envisions drones that would meet her midway through her run on the Boston Common bearing a water bottle. David Weekly, a San Francisco technologist who recently founded what he says is the first venture-capital fund devoted exclusively to drones, says that techies “think first about Follow-Me. They buy a Phantom 2 and immediately think, Couldn’t I get this to follow me around all the time and photograph me?” Many of these drone-videography applications, Weekly believes, are prone to a looming hype-and-bust cycle. 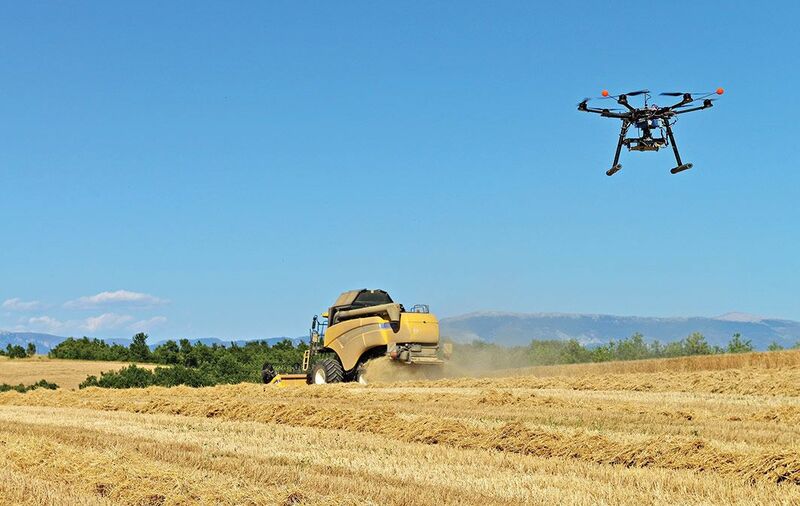 Weekly is more enthusiastic about projects that envision drones’ operating on a larger scale, or in places that are hard for humans to reach: repairing and monitoring wind turbines and bridges, for instance, or cultivating large agricultural fields from the air. Some of the most ambitious drone projects are already in trials. A few months ago, Andreas Raptopoulos, the co-founder of the Menlo Park company Matternet, raveled to Bhutan, where he has been working with its government to use drones to deliver medicine to health clinics isolated high in the Himalayas. Raptopoulos is fond of noting that one-seventh of the world’s population — 1 billion people — are without access to roads for some part of the year. Drones, he believes, could serve to correct the geographic accidents of birth, to give people living in the most remote and often poorest corners of the globe a more tangible connection to the rest of civilization. The interesting thing about projects like Matternet is that they suggest how a single human operator might control an entire system of drones. Vijay Kumar, a roboticist at the University of Pennsylvania, is experimenting with drone swarms, which would be more powerful and also, ironically, simpler, since in a swarm each individual drone could be assigned a different task. He showed me a video of an experiment he had run in which five drones had been given a blueprint of a skeletal structure and a row of construction materials. After a minute, the drones begin to zip over to the materials, each grabbing something in its hook, and then, a few feet away, adding the piece to a small structure that has begun to rise. There is enough of this going around to think that swarms could be the drone’s most plausible future. Both Amazon and Google have hinted at large networks of autonomous delivery drones, and Facebook recently suggested that its project would aim to have one human pilot for every 100 drones. An agricultural engineer at Georgia Tech is working to design large teams of drones and ground-based robots that can monitor and manage farmland with no human involvement. This humanitarian strain runs through many drone projects, and though it is often deeply felt, it also serves to disguise dramatic disparities of power. “People should not be dying because medicine cannot physically get to them,” Raptopoulos says, and this is moving and true, though it is also a way to introduce what he says is his ultimate vision, of a for-profit package-delivery service. Part of the attraction of drones is that they allow their operators to tinker in faraway places—leapfrogging medicine over swamped roads, annihilating militants holed up in unreachable villages, discovering lost bodies—even though not every disruption is welcome. And yet this is a complicated kind of privilege. Drones let you see so much more of the Earth, at once more fully and minutely, in ways that confuse the normal relationship between intimacy and distance. With a drone you roam in a peculiar disembodied manner; you move through the world a little less like an actor and a little more like a director. Your new powers make you a little less recognizably human. In some real but imperfect way you exist in more than one place at once. One 102-degree afternoon just before Labor Day, I drove with Gene Robinson to an empty field in the Texas Hill Country to fly his drone. Robinson placed the machine on the flatbed of his truck and connected with it wirelessly, programming a flight plan and a launch protocol. Then he walked out into the middle of the field, gave a crow’s hop, and threw the drone up into the air. Until it was 60 feet in the air, it just climbed upward. Then, having situated itself in space, it adjusted and began a slower, looping climb up toward 400 feet, high enough that you could no longer hear it. Why Wouldn’t Jeff Zucker Take on CNN?